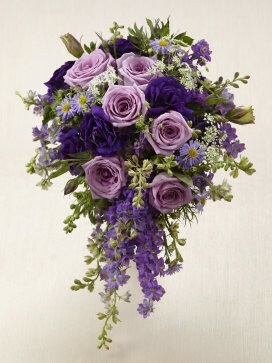 This luscious and ,lavish lavender garden bouquet is indeed that! 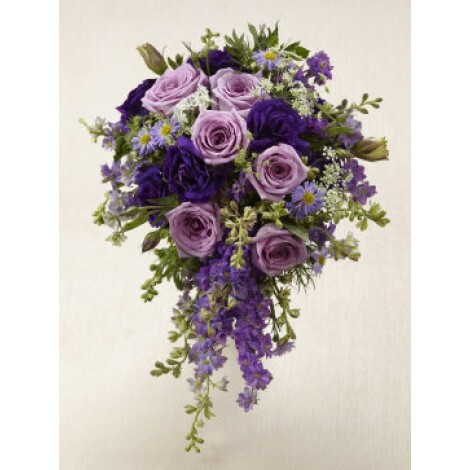 A seductively sumptuous selection of lavender and purple blooms makes this outstanding cascade of sheer beauty and elegance. 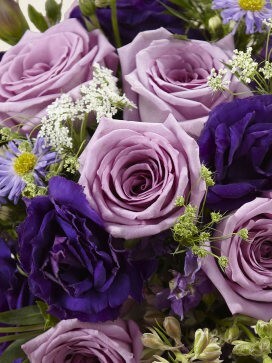 This majestic, blooming array features; lavender roses, offset by purple larkspur, purple double lisianthus, lavender monte casino asters and Queen Anne's lace. A truly vibrant and beautiful bridal bouquet straight from the garden of grandeur! Approximate dimensions; 20"H x 10"W.